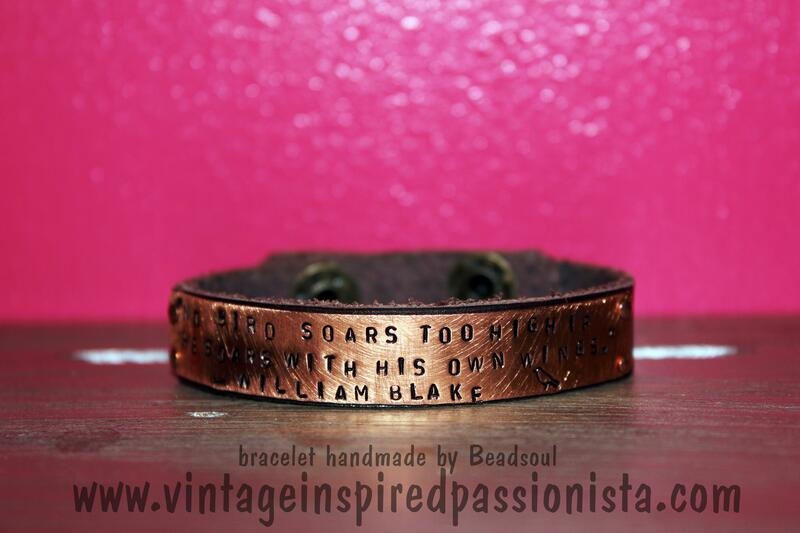 Recently, I had my friend Lisa Hamilton of Beadsoul create me a one-of-a-kind leather + copper cuff with my favorite William Blake quote hand-stamped on it. So the next time you feel like you are Entangled By the Norm, just think…I am a bird, and these are my wings! I can fly as long and high as my heart desires! To keep the inspiration and positivity flowing, here are a few more inspiring William Blake quotes. 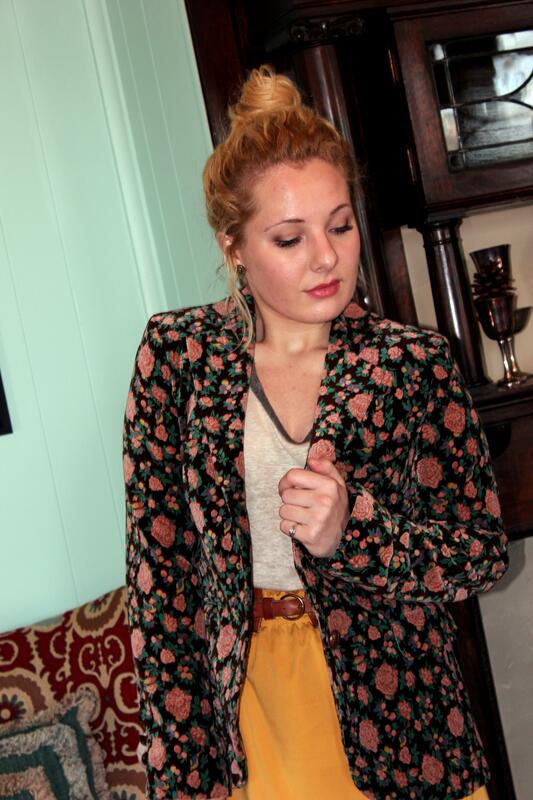 So honored to have a custom bracelet that I made for Abby Hathorn featured on her Vintage Inspired Passionista Blog!